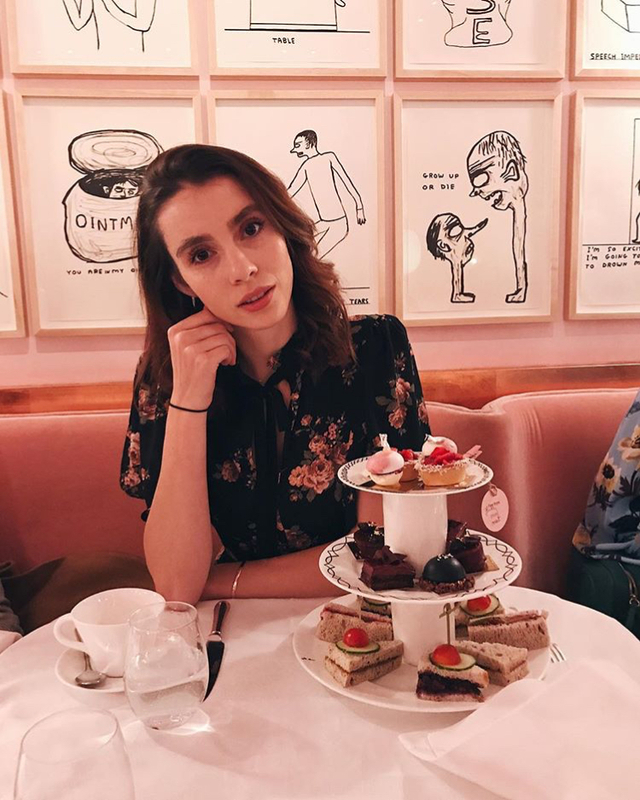 Lala is a British born L.A. based vegan lifestyle blogger on a mission to demystify the stereotypes surrounding vegan culture and plant-based living being an unfulfilling and boring experience. She recently became a first-time mother and is now transitioning the narrative of her journey to raising her daughter Snoh as a vegan. She is a self-proclaimed free-spirited gypsy and has resided in major cities including New York, London, and Miami. "My vegan journey started down a path of vanity, or selfishness to peer pressure. I'd skipped my teen years of acne or so I thought, until one morning I woke up with horrendous, hideous, cystic acne all over my face. Of course being horrified I ran to the doctors and after years of western medicine and a very angry irritated face, I started my own research to come to find out dairy could be the cause, so food group by food group I slowly eliminated them out of my diet until February 2014 after reading the beauty detox by Kimberly Snyder and four years of being a dairy-free pescatarian, I finally made the decision to go completely vegan and Gluten free, with no soy or coffee included. At that point in my life, it was only ever diet based, 3 years later I'm learning to be more aware of so much more and including veganism in my lifestyle and not just my diet. I'm more conscious of what my garments are made of and what's in my skincare, it's been a journey, with learning how to be a vegan myself, to now bringing up a vegan. Every day is a learning day and new experience." - What's your introduction about yourself to those that don't know who you are and aren't familiar with what you do? Myself? Gosh, I'm Just another new mama out here trying to do better. Originally from London, residing in Los Angeles with my artist almost vegan boyfriend and 8-month baby. What do I do? I'm attempting to show the world you can be a cool trendy educated vegan! We're not all crazy hippies, munching on rabbit food, and we can even be social! Imagine that haha! 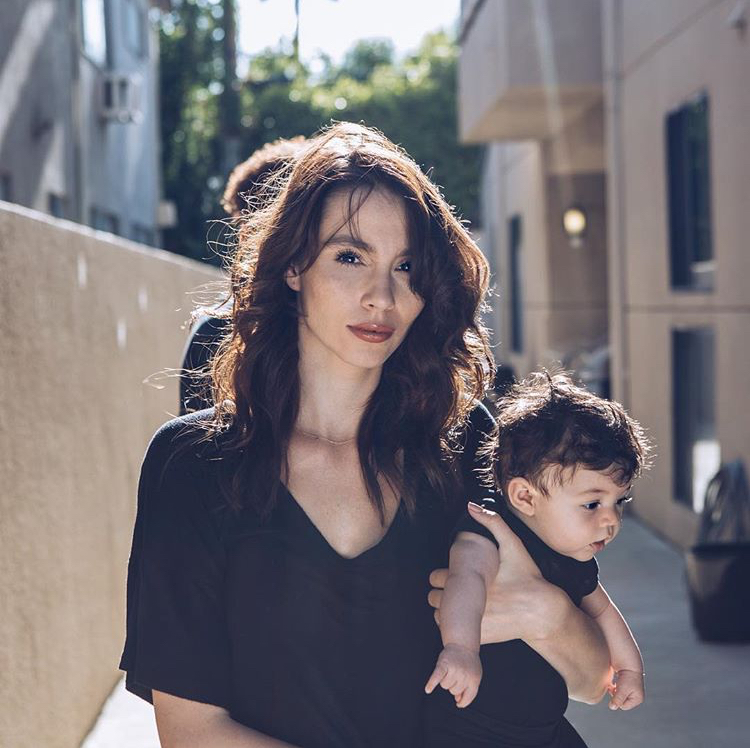 Hopefully, my new blog which is under reconstruction as we speak, will let you into my personal life as a modern day vegan mother, model and hopefully soon a mum-trepreneur, I hope to show you the right ways or at least my ways. Which I hope will encourage all to start making small changes. - Having lived in both Britain and The States have you noticed any distinct differences in vegan vulture between the two countries or do people share the same reasons or similar sentiments for their reasons behind this lifestyle choice. The world is a very interesting place and all over people live different cultures some more into the vegan/vegetarian life than others. I can't talk on all 50 states in America, however, I can say I'm blessed to have been able to live in states with cities such as Miami, New York & Los Angeles where the vegan culture is booming right now. With so many great vegan restaurants, desert stores, clothing lines, endless options in the grocery stores, farmers markets, you name it its here.I'm lucky enough to live on the west side of LA and I'm spoilt by so many great choices, that it actually makes it difficult for me when traveling, even inside the states. I recently spent 3 weeks in London, and I will say over the last 5 years, I've seen a massive improvement in the London vegan culture and community. Vegan restaurants are really causing a hype in the London vegan scene and they seem to be popping up all over the city, however, I did find it hard to locate good vegan places in the area I was staying and some restaurants like in the US had no vegan options on the menu at all. As for the reasons behind these lifestyle choices, with food being sourced in different ways from the UK to the US, I seem to find people in the US are more worried about what they're are consuming and becoming more aware of the chemicals in food and the GMO crops. Europe has strict GMO crop bans and our organic laws are extremely different, If I'm honest you can taste the difference in the quality. Once entering the vegan lifestyle for health reasons it's almost hard not to ignore the suffering of the animals. I think everyone chooses a vegan lifestyle for the overall good benefits and it shouldn't matter why they started. - Whats your experience as a plant-based mama been like so far - have there been any challenges in finding the rights foods for your little one or has it all been smooth sailing so far? Ah, it's such a daily challenge, a lot of people think I'm making the wrong choice bringing my baby up as a vegan, so its an ongoing battle. So far my baby is loving every vegetable and piece of fruit she's tasted. Her first ever piece of food, was a chunk of fresh mango at 4.5 months while we were on holiday in Turks & Caicos, then some mashed avocado. It's easy to give babies lots of pureed vegetables and fruits and cut up small pieces when they get to the chewing stage, but if you're looking for baby snacks, it's pretty limited, A lot of dairy is hidden in them, and bad ingredients that I wouldn't consume myself. We do have some great organic cold press companies trying to make a difference and do right for the babies, even a few home delivery services like Yumi which give you no excuse for not feeding your baby a plant-based diet. Whilst shopping for baby food it's horrifying to see packets of pureed turkey and chicken sitting on a shelf, right next to the plant-based options. Bringing up your baby on a plant-based diet is most definitely possible and is being made easier and easier for parents with all the new companies. - A sentiment or statement which you live by that you would like everyone to know or takeout from what you do? Listen to your body and live by what YOU believe. Haha good question, I don't really have a favorite song. I love music and I'm happy to listen to pretty much anything, right now I love listening to sample radio's WCW playlist. Its full of empowering women artists, and really gets you in a good mood.